In July, 2008 the Global Health Council had the opportunity to conduct an interview Dr. Abhay Bang (Bio) as a follow up to his presentation on appropriate technology at the Global Health Council’s 2008 Research Symposium in May. Abhay Bang is the co-founder and Director of SEARCH (Society for Education, Action and Research in Community Health), an NGO in India. It was founded in 1985 by him and his wife, Dr. Rani Bang to be an institution of community health which provides health care to the local population and generates knowledge for the global community by way of research. Health research priorities in India. 1) Management of sepsis/pneumonia 36%. 2) Management of preterm/low birth weight (LBW) 33%. Any package which excludes some of these will lose proportional impact. The IMNCI package has, to my knowledge, not been shown to have impact on the NMR/IMR. No data are published/made available on the impact. Another reason for the larger effect in Gadchiroli/Ankur is the frequency of home visits by the community health worker (CHW). The clinic-based neonatal care arm in the Projanmo trial showed little effect on the NMR. Why did the Ankur model have lower results in slums? What’s being done to test alternative options neonatal care for those areas? Dr. Abhay Bang: The effect in the urban slums was less than in the rural or tribal areas because – due to the availability of doctors and hospitals in urban areas a truncated HBNC package was introduced. CHWs were not trained to treat sepsis, and they rarely managed asphyxia. These restrictions reduced the impact. Since hospital care plays more of a role in urban areas, improving the quality of perinatal care in public hospital is equally important in urban areas. 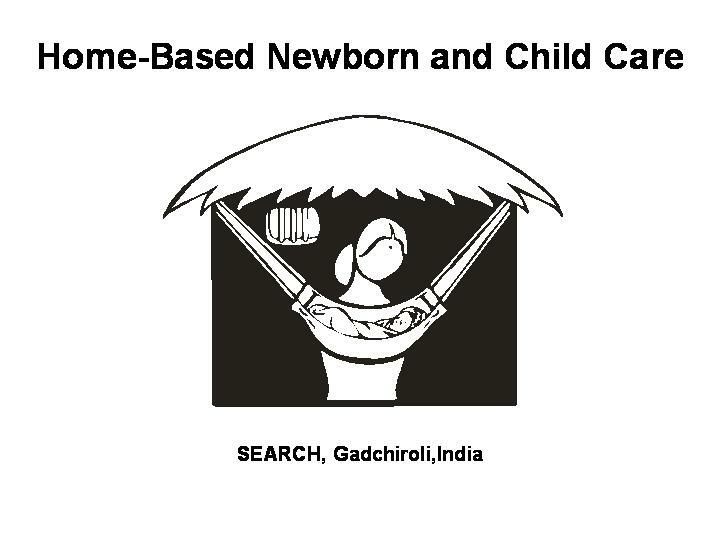 Global Health Council: Kangaroo mother care (KMC) for preterm or low birth-weight neonates failed to be taken up by the community in Gadchiroli. Do you think it will succeed in reducing mortality in other areas of India? Why or why not? Dr. Abhay Bang: The fatalistic outlook has not changed in India as a whole. But after a real life experience in their own community that the HBNC can save sick neonates – the fatalistic outlook changes. This is occurring in a few pockets where such alternative form of care is made available. It suggests that people are dynamic, open to change. Dr. Abhay Bang: Not so far, but Malawi, Zambia, Ethiopia are piloting the HBNC care provided by outreach workers or CHWs. Other studies, such as the home-based antiretroviral treatment (ART) to HIV-positive persons provide reason to believe that it is possible to provide home-based care in Africa. And frankly I don’t see any other practical alternative but the HBNC or a similar approach which can be made available to neonates in Africa. Hospital-based or doctor dependant neonatal care is just impossible at least for few decades. Build upon what they have. Global Health Council: What advice do you have for African practitioners searching for feasible interventions? Dr. Abhay Bang: Three things. One – Read this Chinese poem again. Two – Be truly an African; follow and develop what is appropriate to your needs and culture, and situation. Three – Since Africa has a health manpower crisis, more health care roles need to be delegated to CHWs. Don’t hoard medical skills but train and delegate. Global Health Council: What should the top three health research priorities be for MNCH in India? Is testing the current model of IMNCI among them? If it is not proven to be effective, do you think IMNCI will be beefed-up to include presence at birth, and tools for the management of sepsis and birth asphyxia? Dr. Abhay Bang: The IMNCI is a step in right direction. It has added preliminary neonatal care to the sick child management in IMCI. But more interventions need to be added. Since nearly 30 to 40 percent newborn deaths occur on the day of birth, and another 36 to 52 percent occur due to neonatal infections, interventions such as being present at birth, more frequent home visiting, home-management of asphyxia and sepsis are necessary. The choice of worker needs to shift from the already over burdened ICDS worker to the CHW (ASHA in India). Adequate training (28 days, and not merely 8 days) needs to be provided. In short, the IMNCI needs to adopt HBNC. And finally, the evidence about the impact of IMNCI pilot studies on the NMR/IMR needs to be made public. Global Health Council: In your opinion, what are the top (three to five) research priorities for all areas of health in India? 1) Ways of providing financial coverage to those who can not afford to buy medical care. 2) Prevention and management of the epidemic of cardio-vascular diseases in India. Global Health Council: Measles, polio and a high maternal mortality ratio persist in spite of India’s recent economic advances. As India is considered a middle-income country, can you address the question of financing vaccines to achieve universal access for mothers, infants and children in middle-income countries? Dr. Abhay Bang: India as a whole is not a middle income country — maybe 25% of the population is – but 75% of the population does not have adequate access to basic health care. Middle income India is a myth created by the media. The euphoria is limited only to the middle class. Farmers in villages are committing suicides in large numbers. Global Health Council: It has been said that India has become the pharmacy to the developing world. Is India’s economic growth building capacity for health research? Dr. Abhay Bang: Not to the extent it needs to. Global Health Council: Over the next few decades, do you believe that increases in human capital will slowly help to raise the quality of health and education in the poorest states? Dr. Abhay Bang: It will not happen automatically. Conscious policy decisions, allocation of resources, good quality training and subsequent support will be necessary to make that happen. The potential exists in people; can the policy makers and program managers respond to the challenge? 1 Baqui AH, El-Arifeen S, Darmstadt GL, Ahmed S, Williams EK, Seraji HR, et al. 2008. Effect of a community-based newborn-care intervention package implemented through two service-delivery strategies in Sylhet district, Bangladesh: a cluster-randomized controlled trial. Lancet 371:1936-44. 2 Ingle G, Malhotra C. 2007. Integrated Management of Neonatal and Childhood Illness: an overview. Indian Journal of Community Medicine 32(2):108-10. 3 Bhutta ZA, Memon ZA, Soofi S, Salat MS, Cousens S, Martines J. 2008. 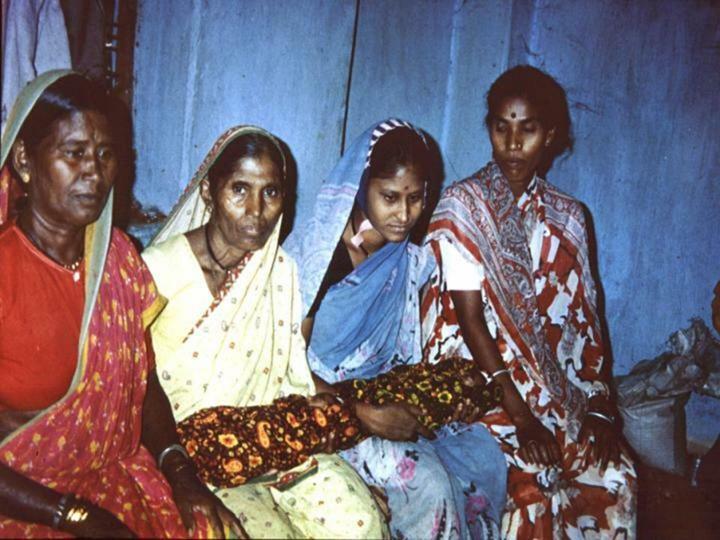 Implementing community-based perinatal care: results from a pilot study in rural Pakistan. Bulletin of the World Health Organization 86(6):452-9. 4 Bang A, Bang RA, Baitule SB, Reddy MH, Deshmukh MD. 1999. Effect of home-based neonatal care and management of sepsis on neonatal mortality: field trial in rural India. Lancet 354:1955-61. 6 Bang AT, Bang RA, Reddy HM. 2005. 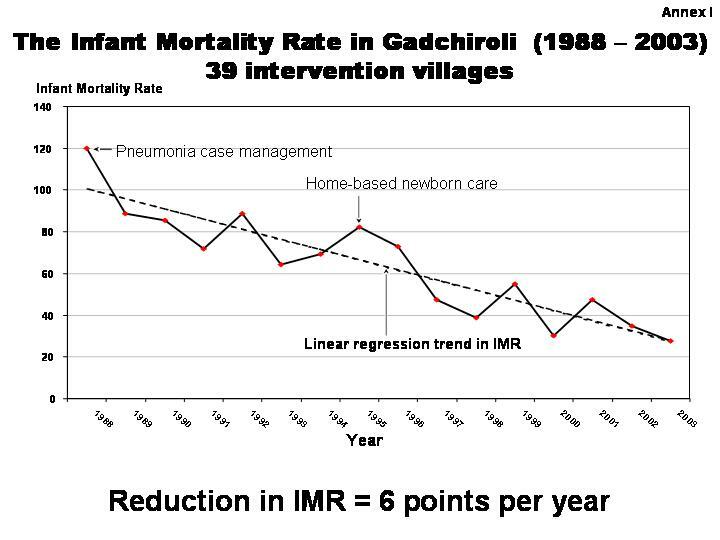 Home-based neonatal care: summary and applications of the field trial in rural Gadchiroli, India (1993-2003). Journal of Perinatology 25:S108-S22. 7 Bang A, Baitule SB, Reddy HM, Deshmukh MD, Bang RA. 2005. Low birth weight and preterm neonates: can they be managed at home by mother and a trained village health worker? Journal of Perinatology 25:S72-S81. 8 Sloan N, Ahmed S, Mitra SN, Choudhury N, Chowdhury M, Rob U, et al. 2008. Community-based kangaroo mother care to prevent neonatal and infant mortality: a randomized, controlled cluster trial. Pediatrics 121(5):e1047-59. 10 Mrisho M, Schellenberg J, Mushi A, Obrist B, Mshinda H, Tanner M, et al. 2008. Understanding home-based neonatal care practice in rural southern Tanzania. Transactions of the Royal Society of Tropical Medicine and Hygiene 102:669-78. 11 Waiswa P, Kemigisa M, Kiguli J, Naikoba S, Pariyo GW, Peterson S. 2008. Acceptability of evidence-based neonatal care practices in rural Uganda — implications for programming. BMC Pregnancy and Childbirth 8:21. Hello sir, this is nikita. This is really a great concept.